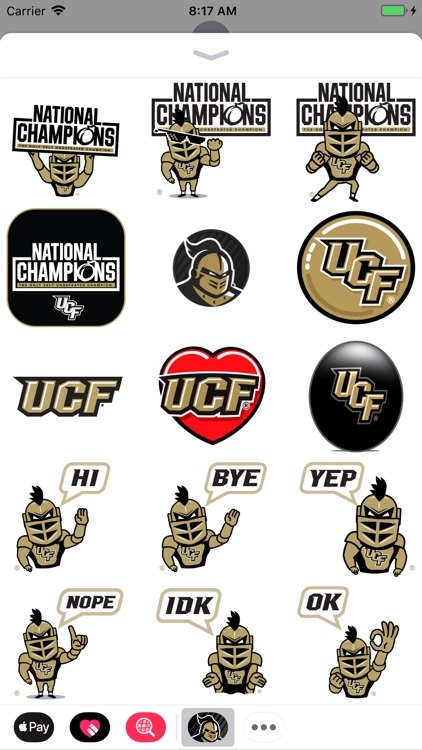 FULLY ANIMATED, OFFICIALLY LICENSED UCF® STICKERS available exclusively through the App Store. 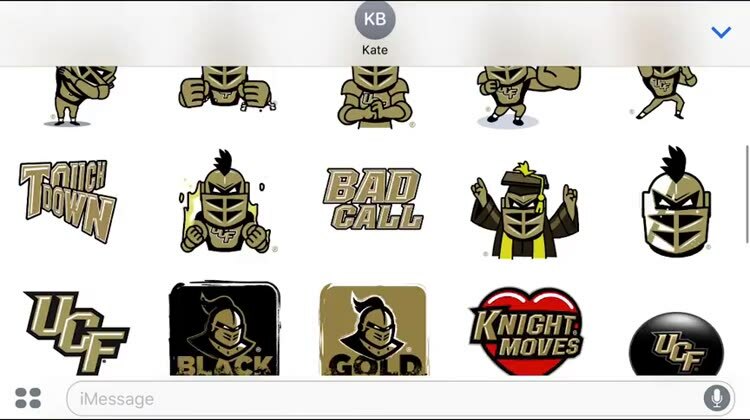 Watch the video to preview the animation! 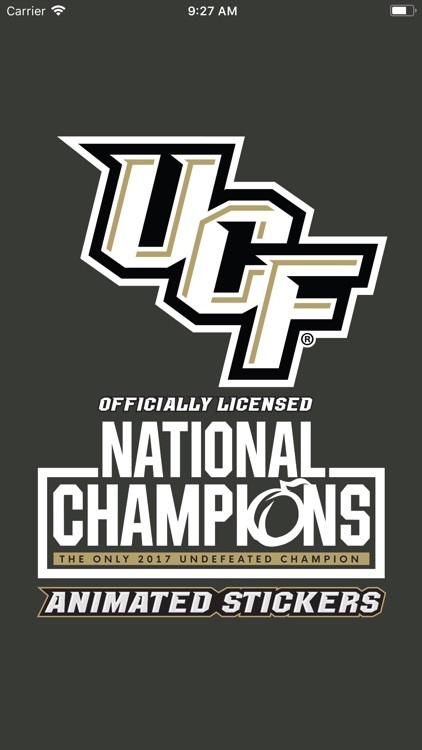 Are you a fierce UCF fan? 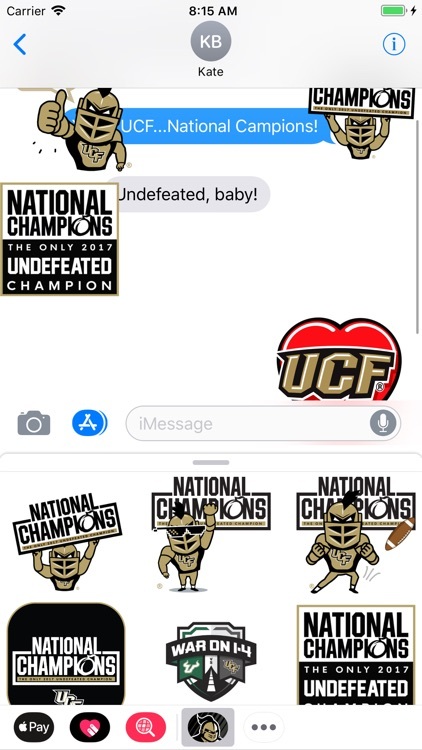 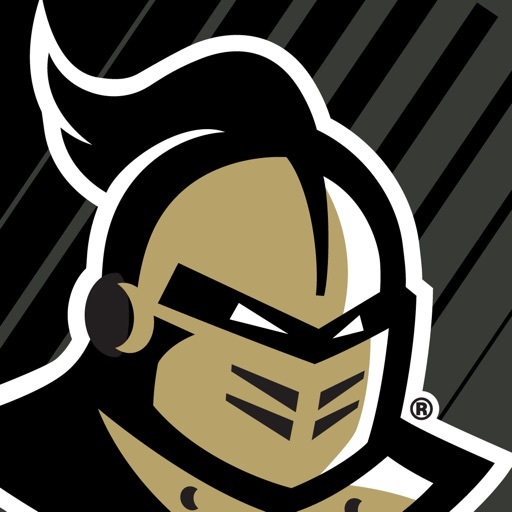 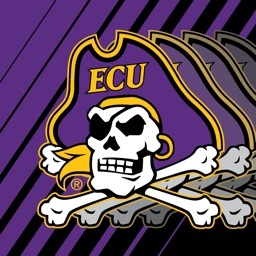 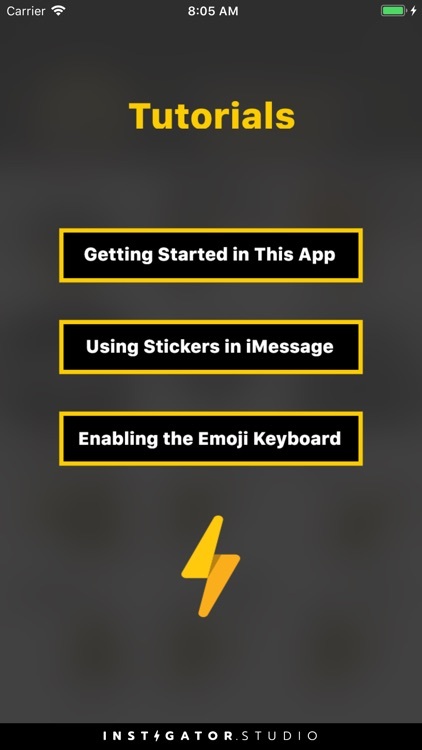 Do you want to root for the Knights (TM) and stick it to the competition right from iMessage? 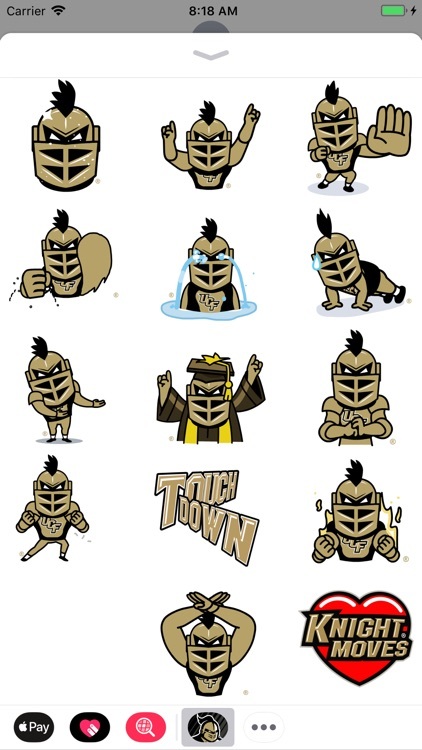 Good news: with these fun and emotive chat stickers you can show the world your "Knight Moves"! 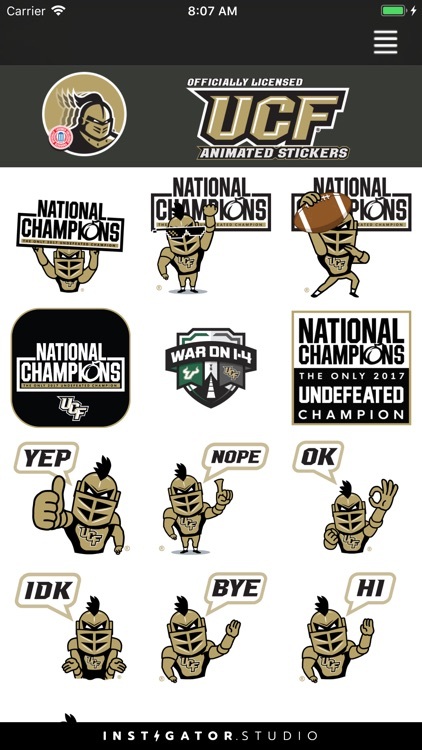 This set includes plenty of Knightro (TM) shenanigans, as well as static and animated UCF logos and slogans. 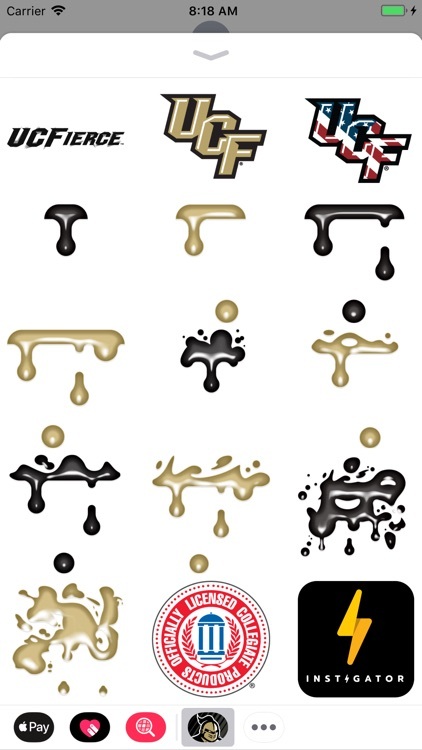 As a free bonus, we’ve also included black and gold splats so you can splash UCF colors across your chat window. 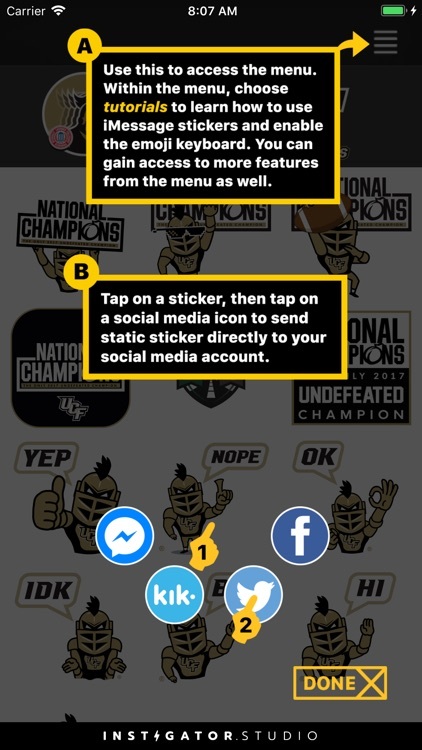 Now you’ll always have the perfect sticker to send your friends, whether you’re celebrating your favorite sport or flaunting your school spirit. 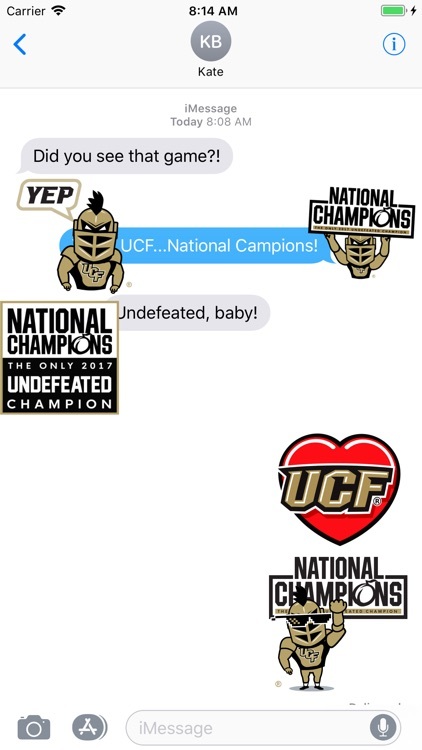 Get your officially licensed UCF Animated Stickers now!